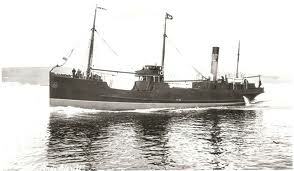 January 30th 2015 marked the hundredth anniversary of the sinking of the merchant ship SS Linda Blanche in the Irish Sea. Among the hundreds of merchant ships sunk by U-boat in the course of World War 1, there would seem to be nothing remarkable about this humble coastal trader. There were no casualties and the whole affair was conducted in as gentlemanly and civilised manner as such affairs ever can be. A German submarine, U21, surfaced, forced the Linda Blanche to heave to and gave the captain and crew time to get away in lifeboats, after which the Germans sank the vessel with explosive charges placed inside her hull, thereby sparing a torpedo. 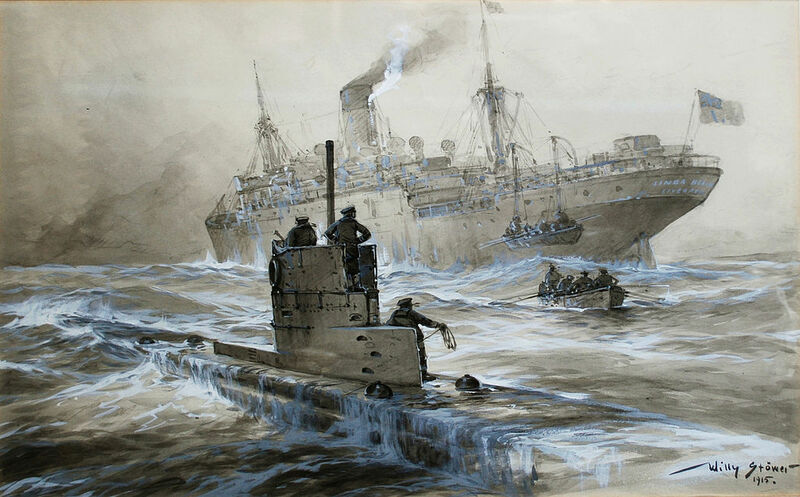 As the sinking occurred 18 miles from Liverpool, and in busy waters – a fact that made the U-Boat’s captain’s decision to surface all the more daring – the crew had a good chance of reaching safety, which they did. So what’s remarkable about this sinking? The Linda Blanche was a tiny vessel, 170 feet long and of 530 tons and her photograph shows her as an unassuming craft, similar to dozens like her. At the time of sinking she was on a routing voyage from Manchester (via the Manchester Ship Canal) to Belfast and her destruction can have had only a miniscule impact on the war effort. Why is she remembered today, and indeed how did I myself come to know about her? The explanation is that I myself came across the SS Linda Blanche’s story when I stumbled on a painting of her sinking on Wikipedia. It was by the famous German marine artist Willy Stöwer (1864 – 1931) whose huge output, covering both merchant and naval subjects, included magazine articles as well as paintings. 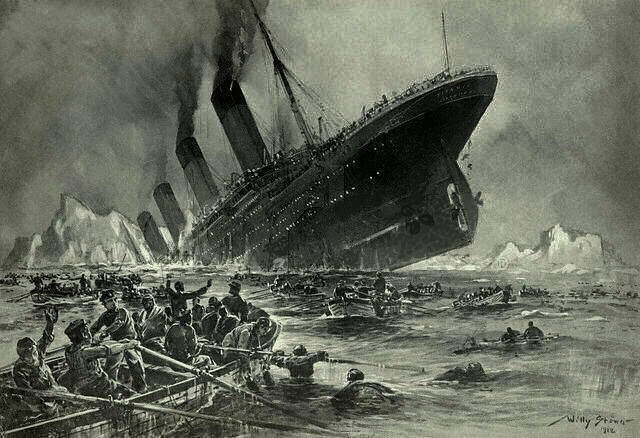 One of his most famous works is a depiction of the sinking of the Titanic, produced for a German magazine, which has become perhaps the most familiar image of the event (and incorrect, ignoring the fact that the Titanic’s back broke). He was to be especially busy during World War 1 and he produced some very impressive paintings. One of the most notable of these paintings by Stöwer is of the SS Linda Blanche sinking. The victim is no longer a nondescript coaster but a huge cargo liner and everything about the action is on a heroic scale. Technically and artistically brilliant, the painting is still a lie. 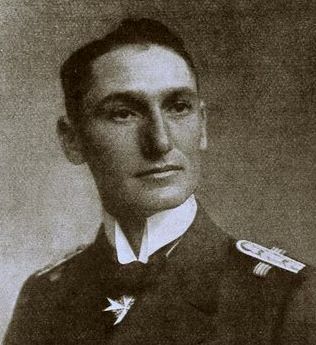 The answer is probably that the U21 was commanded by Otto Hersing (1885-1960), perhaps the most successful U-boat ace of the Imperial German Navy. On September 5th 1914 she had torpedoed the British cruiser HMS Pathfinder was sunk in the North Sea, off the Scottish coast, the first Royal Navy ship to be sunk in this way. His victory over the Linda Blanche was minor by comparison but his greatest achievements still lay ahead. Following the Allied landings at Gallipoli in April 1915 he was sent with U21 to the Mediterranean and there launched masterly submerged attacks on British pre-dreadnought battleships providing shore bombardment in support of ground forces. On May 25th he sank the 12,000 ton HMS Triumph and two days later was to be equally successful in sinking the 16,000 ton HMS Majestic. These successes were major contributory factors in the British decision to withdraw capital ships from the bombardment role. On July 4th he sank the Carthage, a French 5,601 ton auxiliary cruiser close to Gallipoli. For these actions Hersing was deservedly awarded Germany’s highest military honour, the Pour le Mérite, the “Blue Max”. Respected among his colleagues as “Zerstörer der Schlachtschiffe”, the Destroyer of Battleships, Hersing was back in the Mediterranean in 1916, where on February 8th he sank the old French 4,750 tons cruiser Amiral Charner of off the Syrian coast. And why the portrayal of the humble Linda Blanche as the mighty vessel she was in Stöwer’s painting? I suspect that Hersing’s exploits against of merchant shipping had to be depicted on the same heroic scale as his attacks on more dangerous naval targets. And so, through images, through exaggeration, through false depiction, are legends born. Hersing, a superb commander and a genuine hero, deserved better.